Marine Drouilly (CederbergCaracalProject) a caracal researcher from France, Patrick Lane from Cape Nature with an English nature conservation student, Elizabeth Martins recording the data, Swiss volunteer Jurg and Dawie Burger the farmer at Driehoek. The vet is on duty to bring the required dose of sedative, but it is Quinton who fires the tranquillising dart. When the two of them are sure the leopard is immobilized, they call the rest by radio. Now the team moves fast, against time. 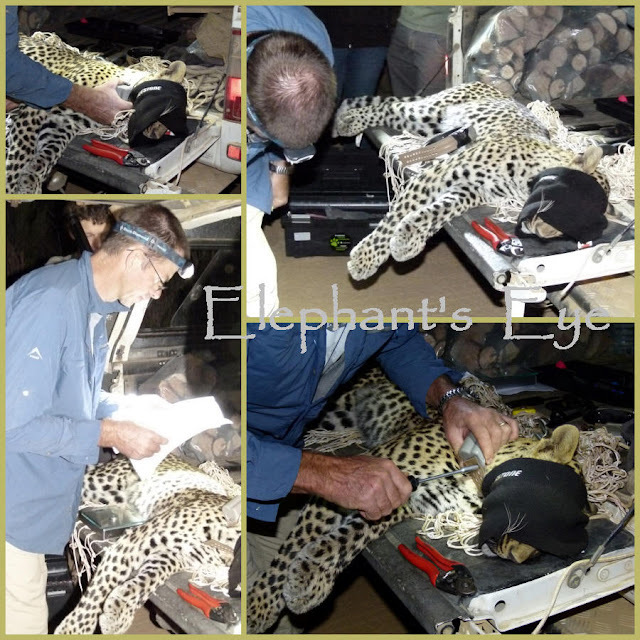 The leopard is hooded to protect his eyes from the bright headlamps and torches. He is measured. Samples are taken for DNA testing, diseases and his immune system. 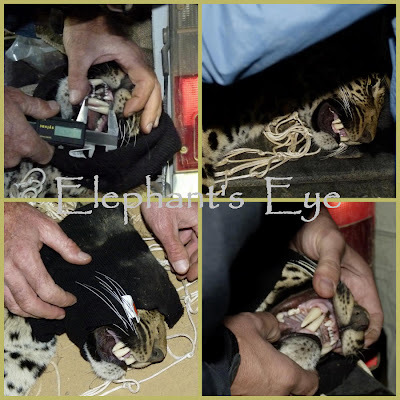 His teeth, claws, and the paw which was held gently and securely by the foot loop trap, are checked for damage. All clear. Patch is Spot’s son, 26 months old, not yet fully grown. Perhaps a son of Max who died in January? He will be DNA tested. A female collar was used because it is light. Fitted to allow room, as his neck grows. The day before Patch ate the chunk of goat set out as bait, and chewed on the electronic predator caller while carefully avoiding the trap. But on the night of the 12th of March he was successfully caught. Carefully lifted into the dedicated release cage, and the group drives about a kilometre away. To Jurg falls the honour of pulling the rope which opens the door for the animal which is growing restless. We wait, and the leopard stays in the box. Start the engine. No, stays in the box. Again. A ring of cameras poised waiting. 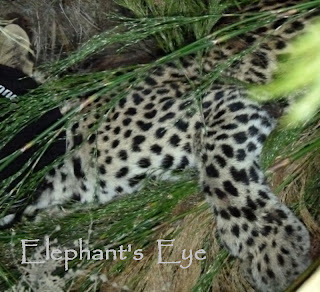 As the leopard shoots out to safety, no one clicks at the crucial moment. Plan B is the video running on its tripod. He turns to glance back, then disappears slowly off into a moonlit night. 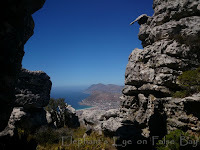 Saturday is Earth Hour – we gather four nations – around our Cape mountain leopard. 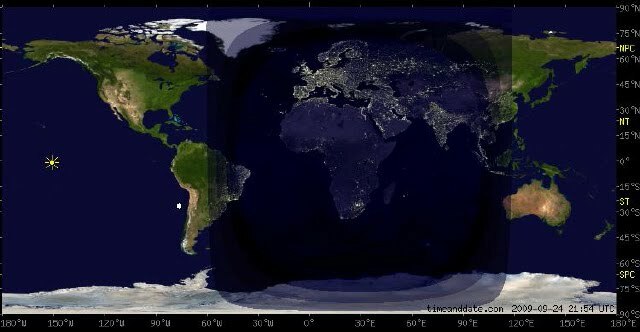 Just one of many reasons we will switch off the lights, leave the computer from 2030 to 2130, and do everything we can for this one earth on which we all live. 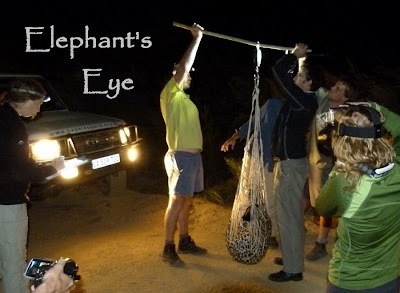 For the earlier part of our Cape leopard story, click the CLT tab/page top centre below the elephant's eye in my header. Diana I was so excited when I saw the title of the post...my husband was reading with me. How amazing to be part of all this....he is gorgeous...we observe Earth Hour as well...a small thing but we all do our part...I thought of joining the NatureBlogNetwork...let me know what you think. Dianna, even sedated those animals are breathtakingly beautiful. It's so wonderful to have a chance to see them even through photos. Jurg must have been over the moon. You were both so very privileged! Donna - what gracious timing, that the first comment comes from another Adopt-A-Spot supporter! Jen MuddyBoots - he was running on adrenaline, the tiredness hit later. Dani - I confess, poetic licence, the royal we. I simply write it up, when Jurg has told me the story. In the spirit of Earth Hour - Donna and Jen add 2 more countries. Diana, how very exciting this was to read! Good luck to the leopard! i assume all of this is to help protect the species. What an amazing thing to be a part of! Thak you SO much for sharing this story and the amazing photographs. How beautiful the leopard is. Thanks Diana & Jurg!! Diana, I have tears in my eyes at sharing this incredible experience. 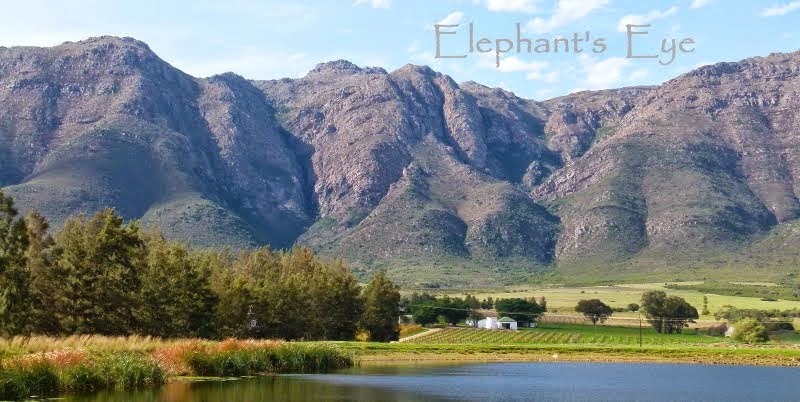 Elke - the excitement returns as I read these comments! Mo - no need to assume, I've made a new page. 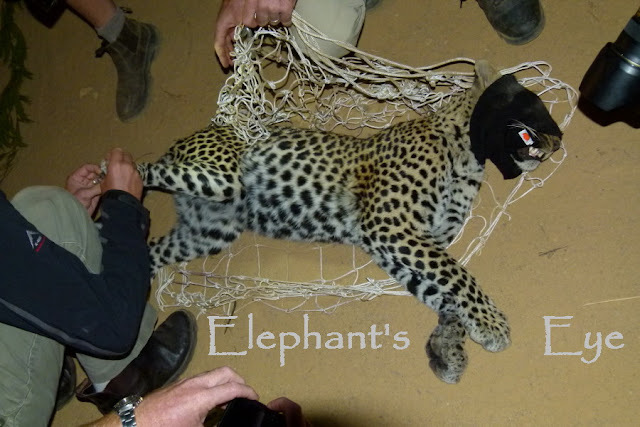 Click the Cape Leopard Trust tab, top centre just below the header, for the background and my earlier posts about the CLT. 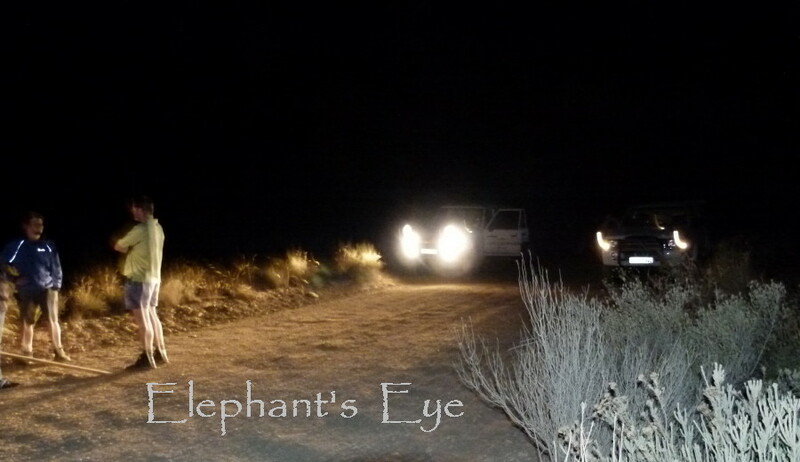 Jane - you have shared your own wildlife rehab experiences, which moved me. What an incredible experience!! My heart would have been racing as well. Thanks for sharing this story. Cat, Owls, Dolphins are fascinating. What a fantastic animal, and so wonderful that your husband was part of the whole story. Such valuable work is being done to help wildlife worldwide by volunteers, we owe them a big "thank you" for the work they do. Oh Diana, I've been on a number of wild animal captures, but never for an animal quite so exotic! How thoroughly exciting! Thank you so much for sharing the experience. LRonG - Patch is Spot's son. Anne - the fur? Oh I see, we have cats in common! How thrilling and incredible to be so close to such a beautiful animal! Thank you so much for sharing! Oh so exciting! You're so incredibly lucky to have been a part of it. Look at those teeth ... and the claws ... and just about everything! Loved this post. What a wonderful experience for Jurg & brilliant post by you. I see you have made top of the picks list on Blotanical. Well deserved. 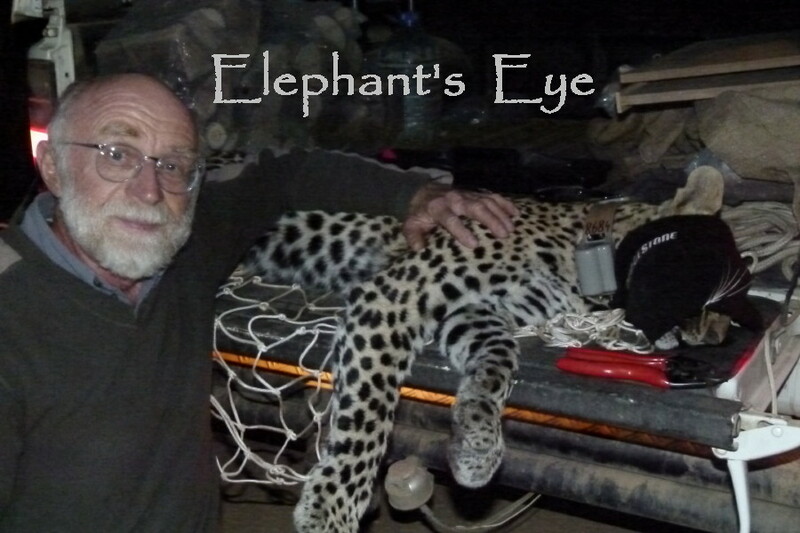 I think it's a great world when people go so far out of their way and apply their many skills and ingenuity to helping the leopards. Cheers me up about the future of both humans and leopards. So many best wishes I send to you and to Jurg. Wow! What an incredible night. The leopard is such a fantastic creature. I just loved the shot of its paw! Thanks to Indie in North Carolina, Sunita in India, GardenGirl in SA, Field of Gold in NZ and Bernie in Australia. Wish my comments had a Where are You box to fill in ... The joy of blogging, with each comment, like a phoenix, the post comes to life again! Waah, beautiful blog Jurg and Diana, congrats! Keep posting (and hopefully very soon, about a caracal capture in the Cederberg...). Marine - You are in the fourth picture, in the green sweater. Diana - why are there so few of these animals - you say that there were loads of other animals around on the way out to the mountains so it sounds as if there is enough to eat. The leopard looked so much smaller than I was expecting. Do people still shoot them? I love swapping comments with you - we live such different lives. Sarah - apex predators, which were/are hunted by stock farmers, hence the Trust. 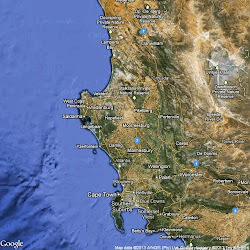 The Cape mountain leopard is half the size of the Northern grassland species, and also has a large home range. Quinton is busy researching whether it is a separate sub-species. Click the links to the Trust for more. Yipee! I've got Reply to work! What a beautiful animal! I could feel the excitement! I have to call Lou to come see whenever I see my neighbor's tabby cat. I can imagine how I would feel to see a leopard so close and with such teeth! I lost my blog list a while back, I'm so glad you found me today, I have missed reading your posts so very much, this was an amzing post you wrote today, I shared it with my husband, thankyou. Like with Donna the title of your post got me immediately. He's been waiting for so long for this moment and now its happenend. Catching this animal is so important in the whole fight for their survivol. PS would the next commenter please tell me if the DREADED word verification has returned. As blog author, I don't see it. 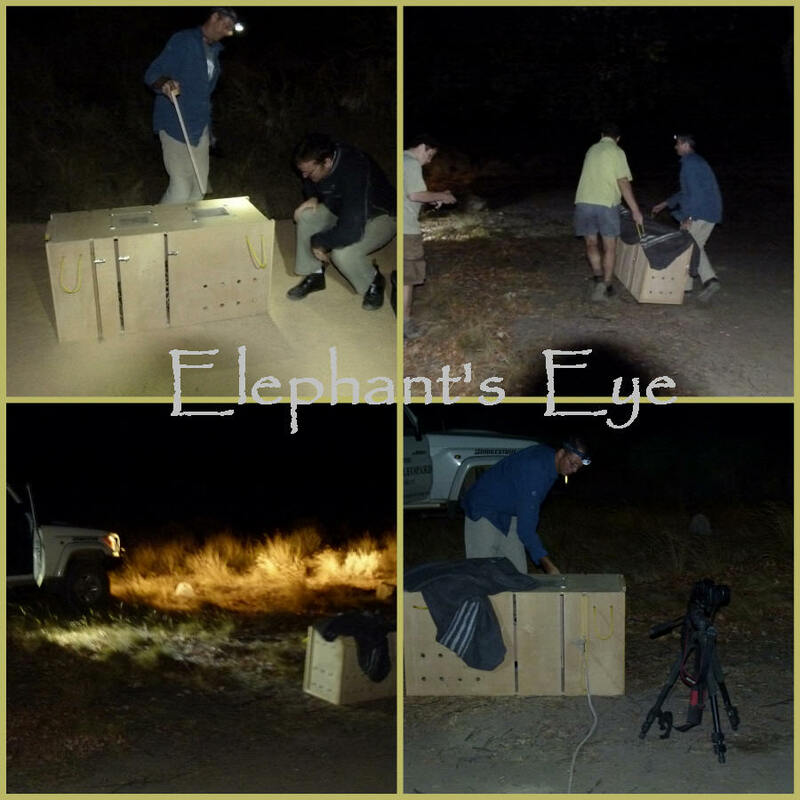 We watch a programme every week here on Vets from the UK training in Africa and doing things just like this - it's fascinating viewing every week so I can really appreciate your photos. I've made sure that it's linked to Wednesdays welcome post aswell! Wow...what an experience! Thank you for taking photos of this amazing encounter and sharing it with us. I love animals, especially cats, and it would be a joy indeed to have such a close encounter. They are beautiful creatures. The research is important, and it is good for all of the animals. 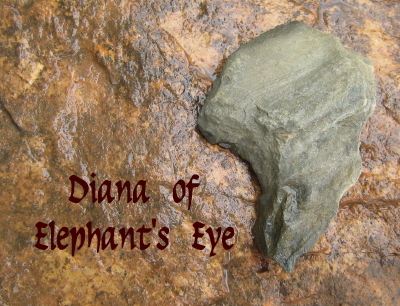 Diana, I whooped aloud with joy when I saw the title. Jurg must still be high as a kite from this experience. He looks so protective and possessive in the photo with the leopard--and I do like the word "first" there... Hope the Trust learns all kinds of useful information from Patch that will help the species survive. so moving to see the respect and care bestowed on that superb animal - let's hope we learn about it and also manage to save the environment it needs to survive and thrive. Amazing experience to be part of. Beautiful! What an honour to get so close to that gorgeous creature. Love that shot of the big paw. Lovely post! What a amazing post. It is the type of animal I will only see in a Zoo unless I'm rich enough one day to travel and view this magnificent creature first hand. Thank-you for sharing these beautiful pictures and wonderful story of a animal that we may now know so much more about. Wow - what amazing shots of this magnificent animal! Hi Diana & Jurg - and Leopard! The pictures don't speak to him, but the soles of Jurg's hiking boots! And the rock he brought home and placed in the garden. Cats notice everything that changes.